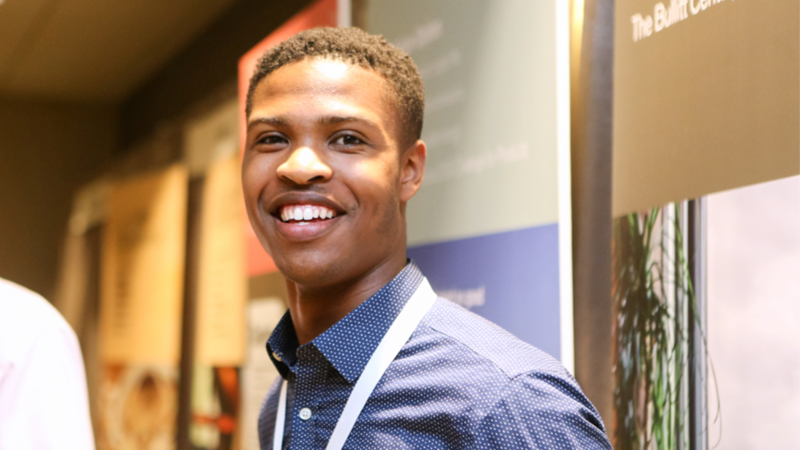 As the Manager of Sustainability at Interface, Inc. Jarami Bond, a 2015 graduate, spends his days in Atlanta, Ga., creating a corporate culture of connectivity around sustainability and social issues. With a major in Environmental Sciences and a minor Sustainable Materials and Technology, Bond finds that his career allows him to blend the best of both worlds to positively impact his surrounding community. Not only does Bond train the US salesforce at Interface, he also trains college youth through his mentor program and speaking engagements. Get to know this College of Natural Resources alum and Upper Marlboro, M.D. native. How do you feel the College of Natural Resources prepared you for life after graduation? The College of Natural Resources (CNR) provided me with valuable exposure to a wide array of interdisciplinary topics, from global environmental policy and climate change to industrial ecology and life cycle analysis. CNR helped me establish a sound foundation through broad learning and then guided me as I zoomed in and identified how I wanted to make an impact on people and planet through my chosen career path. What experiences in the College of Natural Resources did you gain the most from? During my junior and senior year, I was able to partner with Dr. Shaefny Grays and Tiffany McLean to speak to prospective high school students about academic/professional success and sustainable businesses during Environmental Exploration, EnvironMentors and other education/recruitment-focused programs. These speaking engagements helped me further develop my public speaking skills as well as deepen my passion for connecting with and inspiring younger students. I believe that equipping and engaging the next generation of global change agents in what it takes to cultivate a healthier planet and a more equitable society is one of the keys to unlocking a better future. Did you complete any internships, co-ops, study abroad, undergraduate research or other hands-on experiences while at NC State? I interned with the NCDOT Turnpike Authority and Materials and Tests Unit as well as the City of Raleigh Office of Sustainability. These experiences gave me a sneak peek at how I would apply my educational background in the work world, helped me learn new things and obtain new perspectives that a classroom can’t provide, helped grow valuable network connections, and gave me a platform to showcase my abilities and ideas. I encourage all students (freshmen all the way up to rising seniors) to pursue internships. Not only do they make students more attractive to employers upon graduation, but they also serve as incredible learning grounds and an arena to test-drive your interests. What organizations were you a part of at NC State? 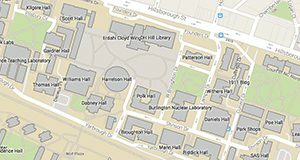 Any advice for students thinking about your major? Take the leap and go for it! Find what you love to do, identify your skills and blend the two together. Are you passionate about the environment along with another area of focus? That’s a good thing. Don’t let that deter you from pursuing a purpose-driven career. Whether you are drawn to technology, business and finance, fashion design, laboratory research, teaching, etc., there IS a way to incorporate environmental and social mindfulness. Be creative, carve out your space and follow your dream! I’m confident that the College of Natural Resources will help you navigate this journey every step of the way. What excites you most about your career and the future? To be completely honest, I am coming off of cloud nine after being named a GreenBiz 30 Under 30. I am most excited about finding new, creative ways to help businesses increase their positive handprints on communities in need while reducing their negative footprints on the environment. I think there are some cool, unexplored opportunities out there for small businesses and large corporations to work toward creating real change. To learn more about Jarami and his journey, check out his website https://www.jaramibond.com/. She was recognized by NC State for her dedication and passion for sustainability.